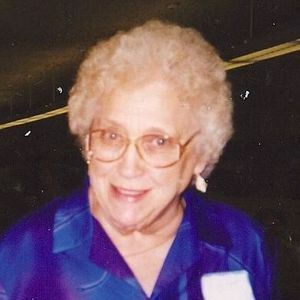 GREENVILLE -- Vernon Lynette Baggett of 2877 U.S. 62 West, Greenville, died Wednesday, Sept. 15, 2010, at Muhlenberg Community Hospital in Greenville. She was born June 10, 1924, in Muhlenberg County. She was a homemaker. She was preceded in death by her husband, John "Jack" Baggett; a daughter, Marilyn Willoughby; a son, Barry Baggett; a brother, Guy Byers; sisters Evelyn Lindsey and Lucy Shannon; and her parents, Perry and Ara Byers. Survivors include a son, Gayle (Brenda) Baggett of Greenville; a daughter, Dianne (Douglas) Miller of Evansville; a daughter-in-law, Becky Baggett of Central City; grandchildren Anne Miller (Mike) Padgett, Angelia Baggett (Kyle) Abbott, Bryan (Lucinda) Baggett, Robin Miller Downs, Johnnie Willoughby, Steve Willoughby, Brandy Baggett (Chris) Grubbs, Tina Willoughby (Dillon), Lisa Willoughby Ontiveras, Joshua Baggett (Samantha), Amanda Miller (Steve) Snyder and Tracy Willoughby Moore; great-grandchildren Allison Padgett, Andrea Padgett, Abigail Padgett, Jonathan (Erica) Wells, Jared Wells, Allison Abbott, Lydia Baggett, Zachary Downs, Kayla Downs, Nicholas Downs, Jodi Willoughby, Dylan Goff, Savanah Grubbs, Cheyene Grubbs, Shay Dillon, Selena Willoughby, Analeigh Ontiveras, Harley Baggett, Hunter Baggett, Daniel Snyder, Phebe Snyder, Caleb Snyder, Andrew Snyder, Logan Johnson and Richard James; a great-great-grandchild, Bailey Wells; several nieces and a nephew; and caregiver Margaret Howard. 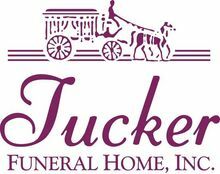 Services are at 11 a.m. Saturday at Tucker Funeral Home in Central City, with the Rev. E.W. Greenwalt officiating. Burial will be in Forest Grove Cemetery in Browder. Visitation is from 5 to 8 p.m. today at the funeral home.